I am in a really fortunate position to be able to come home from work and have a freshly cooked meal waiting on the table most evenings, as my husband is at home. We have recently been trying out a recipe box from Riverford which has been a convenient and enjoyable experience. 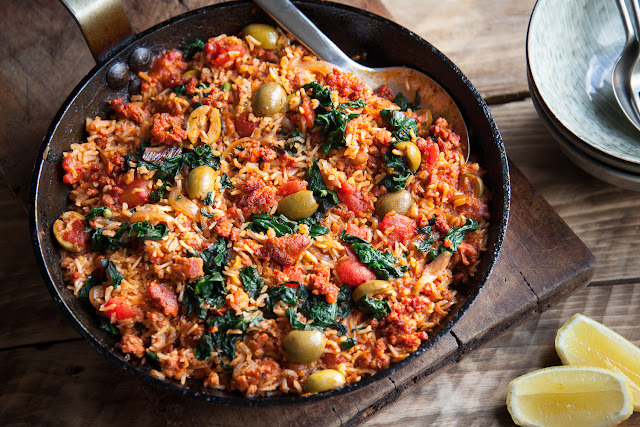 Using a subscription service, Riverford deliver a box to your door each week which contains three meals for two people and includes all (yes, ALL) the ingredients and three easy-to-follow recipe cards to create these meals. The only store cupboard additions you'll have to supply are salt and pepper for seasoning and oil for cooking. These boxes are great for a few reasons. All the products are fresh, organic and locally produced or sourced and they come with full unpacking and storage instructions (i.e. a bag of products for the fridge, measured ingredients for the store cupboard, fresh produce either insulated or wrapped in a cool pack). But what impressed me the most was the way in which the recipe cards were written with literally every single step explained in full detail. I have a lot of respect for this because there is no risk of you messing anything up and it's a great way for people to learn to cook completely from scratch using fresh food. And you keep the recipe cards so you can cook your favourite meals over and over again. Because I love this concept so much I asked Riverford if they would like to let one of my readers try out their recipe box and they loved the idea! 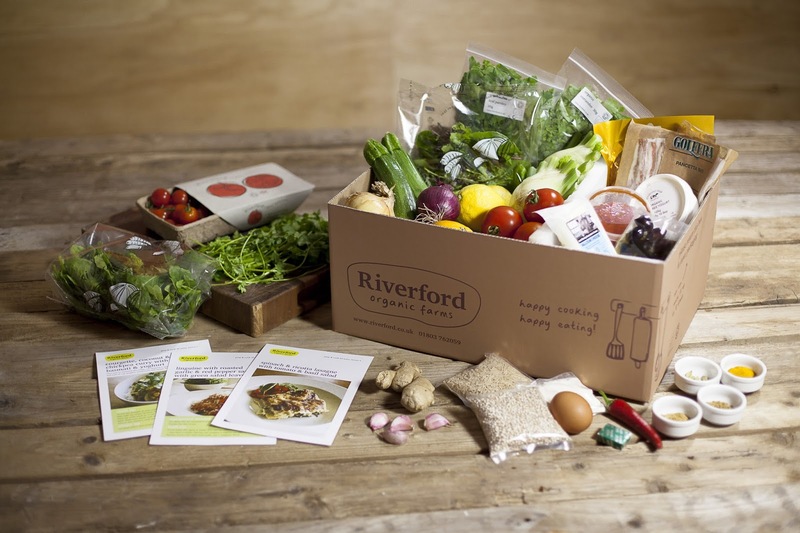 You can win a Riverford recipe box of your choice by entering my really easy competition. Answer the question provided in the Rafflecopter widget below and then keep your fingers crossed. You can gain additional entries by taking part in some social sharing or by signing up to receive blog updates. GOOD LUCK! TERMS AND CONDITIONS * This giveaway will begin at 12:00 on 17th January 2016 and will close at 23:59 on 25th January 2016 * This giveaway is open to any of my readers aged 18 or above who reside in the UK. * The winner must live in a Riverford delivery area * There is no cash alternative to the giveaway * There is one compulsory entry which asks the entrant to answer a question. You can gain additional entries using the options in the Rafflecopter widget * There is one (1) prize in total * The prize has been provided by Riverford Organic Farms * The prize winner will be asked to provide their email address so that contact can be made to arrange prize delivery * Entries will only be accepted as instructed and any entrant that does not complete the qualifying requirements will be disqualified * The winner will be chosen by using a random number generator built into the Rafflecopter widget and will be contacted direct on the email address provided within five (5) days of the draw.